Seven years ago today, heart galloping and hands trembling, I launched our first issue (then called Sprout online magazine). Our theme? Celebration. Through 60 bright, colorful pages (many hand-painted), I spilled my heart in ink and paint and pixel, and invited guest contributors to do the same. November 15, 2011. I was 27. I felt as if I’d finally figured out what I was born to do. After yearning as a pre-teen to create a print zine “for kids, by kids,” yet never daring to pursue that passion (fear? lack of self-confidence? yes and yes) . . . digital possibilities finally allowed me to bring a fresh version of that dream to life. My magazine was real, at last. We continued to bloom and grow over the next few years. Then, in 2014, my world shook off its axis. Loved ones struggled with intense physical and mental health issues, my own depression deepened, and then, the unthinkable: the sudden, unexpected loss of my mother-in-law. I crumbled. While somehow still pulling together issues of Sprout magazine, I felt stifled, changed, in the throes of transformation like I’d never before experienced. 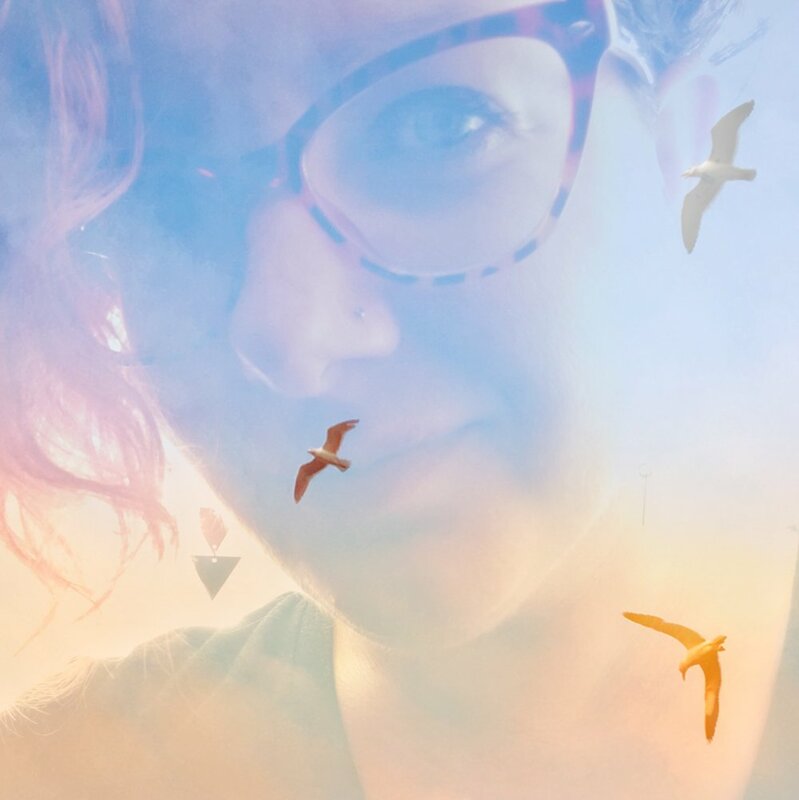 I began sharing my grief stories via social media, seeking some kind of freedom and lightness in my weary heart and head. I wasn’t okay, and I couldn’t hide anymore. What I discovered? You—the dear ones in this digital community, readers and friends of the magazine—responded overwhelmingly with love and acceptance. You said yes, yes, yes, me too, me too. You didn’t want to hide your hurts anymore, either. You craved connection that was real and true, even/especially when that was messy and tear-soaked and full of irreverent laughter and insistent joy. You wanted real. So did I. So, in the beginning of 2015, I dared to burn my fears, to toss my plans on the bonfire and embrace my transformation wholly. I rebranded our magazine and community as The Phoenix Soul. We shifted our focus to welcoming the wonderfully messy bits of our lives, believing that healing spirals from inner revelation to outer revolution. We weren’t hiding anymore. Two months ago, I experienced another epiphany about The Phoenix Soul that turned everything upside down. In the span of a few hours, I journeyed from weeping, shaking my head, refusing to listen to my gut . . . to fully embracing the idea with fiery conviction, all the way to my core. In those breathless hours, I scribbled and spilled and cried and—at last—rejoiced. This idea is needed. I’d recognized that truth almost immediately, despite my initial hesitation and worry. The work of those few hours was more about convincing my head to catch up with my heart. Those thoughts? They were fear, keeping me small. Keeping US small. Love, you’ve waited long enough: here’s our exciting news. Our next phoenix rising. After seven years of digital publication via PDF (64 vibrant issues of 60 pages each: a whopping 3840 pages! Whaaaaat?! ), we are more than ready to break free of outgrown methods, to expand, to reach more wild phoenix souls than ever before. In 2019, we will be completely changing format. After overhauling our website, I’ll begin publishing new content FREE on our blog. We’ll still be the same vibrant, real, tenderhearted, trembling-and-true, ragged-and-rising community we’ve always been . 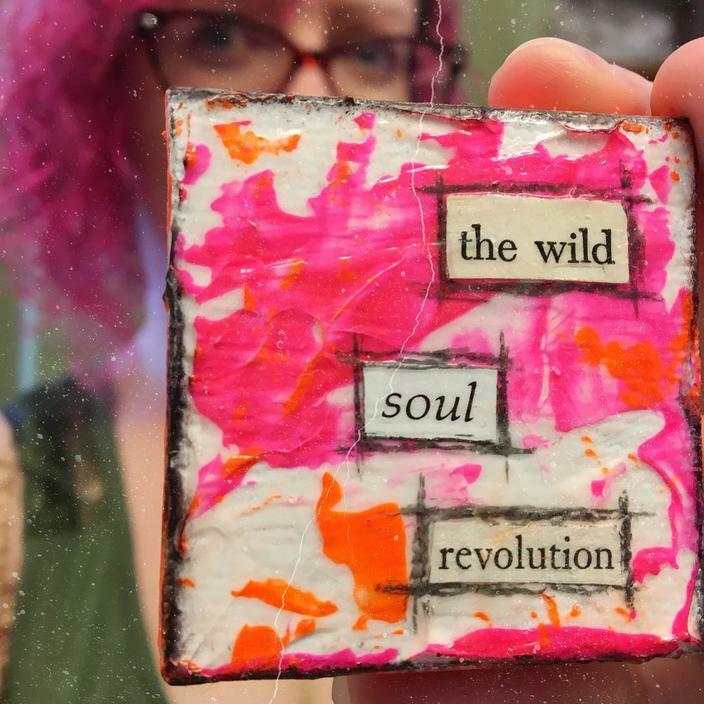 . . but now we’re throwing our doors wide open, welcoming all who crave soul-to-soul connection. Our collaborative blog will be free, more easily shareable, and as full of tender truth as our magazine has always been. Sounds good, yeah? I thought so! Why are you changing? I love the magazine as it is! Me, too! But our mission has always embraced intentional transformation when it’s necessary for growth. After seven years of publishing in our current format, I’m ready to break free of self-imposed limitations. 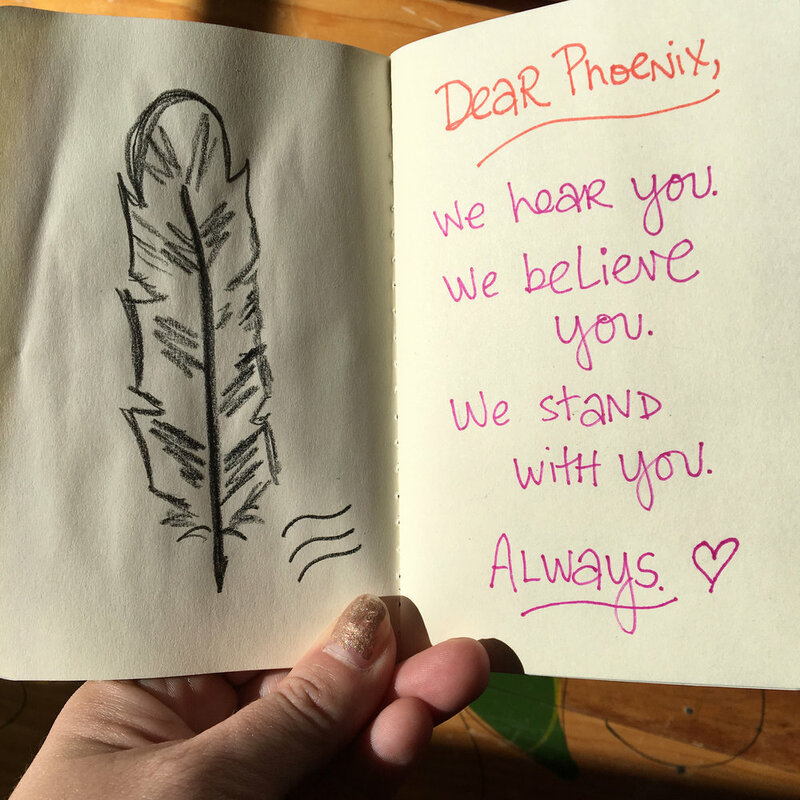 This shift will allow us to reach even more phoenix souls who love living with depth, telling tender and true stories, claiming so-called vulnerabilities as strength, and connecting with fellow phoenix. We’ll raise our lanterns in the dark together. We’ve always done this within the tenderhearted pages of our digital magazine, but now our lights will shine further than ever before. I already subscribed. What happens to me? Don’t worry, sweet soul! I’ll take care of you, of course. If you haven’t received an email from me already, please check your spam folder, and if you still don’t see a message, contact me here and we’ll settle up. Will back issues of The Phoenix Soul still be available? Definitely! Our timeless themes remain as powerful now as they were upon publication (although of course we hope to have grown and evolved with every issue). Check out fiery issues like Sacred Voice, Passionate Purpose, Wholehearted Living, Brave First Steps, and more in our shop, along with great deals on bundles. Will you ever publish the magazine again? Maybe! I don’t want to say no, because I love our magazine in its “old” format, but for right now we’ll be focusing on growing our new free library of content (as well as continuing to offer back issues, connecting with you on Patreon, building our RedBubble shop, and creating yummy new offerings like e-courses). If and when we do publish in our “old” format, it’ll be a special edition, and I’ll announce that when the time comes. Can I submit for publication on the collaborative blog? Yesssssss, please do. We need you to make this possible! See submission guidelines here. I’ll be seeking the same kind of tenderhearted, vulnerable-yet-strong, personal, vibrant work as we’ve always loved to feature in TPS magazine. Poetry, essays, flash fiction, photography, artwork, and more are all welcome. Our new format will also allow for video submissions, spoken-word submissions, and other innovative creations. Have fun with it! We’d also love to see art tutorials, flip-throughs, and behind-the-scenes artwork creation. Questions? Contact me here. I love your mission! How can I help? Bless you—and I adore you, too! Thank you for your continued support. You can help by submitting your heartfelt creations, sharing our posts, spreading the word, and supporting financially. Since TPS will now be mostly free, I’m taking the financial burden on myself. 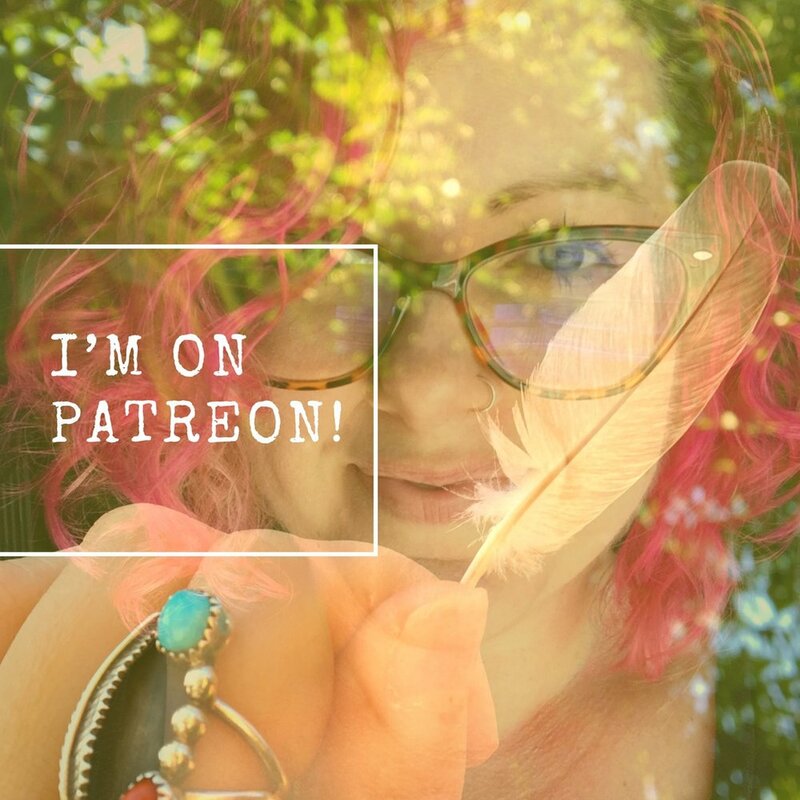 Any support helps: one-time donations, recurring patronage on Patreon (where we get to connect more closely, like via my love notes and art mail), and purchasing our vibrant back issues. I’ll also be selling original artworks, opening a RedBubble, and creating e-courses (which high-tier Patrons will get included with their rewards—woohoo). Pssst: I’ve added a new tier on Patreon in honor of our seven-year anniversary! 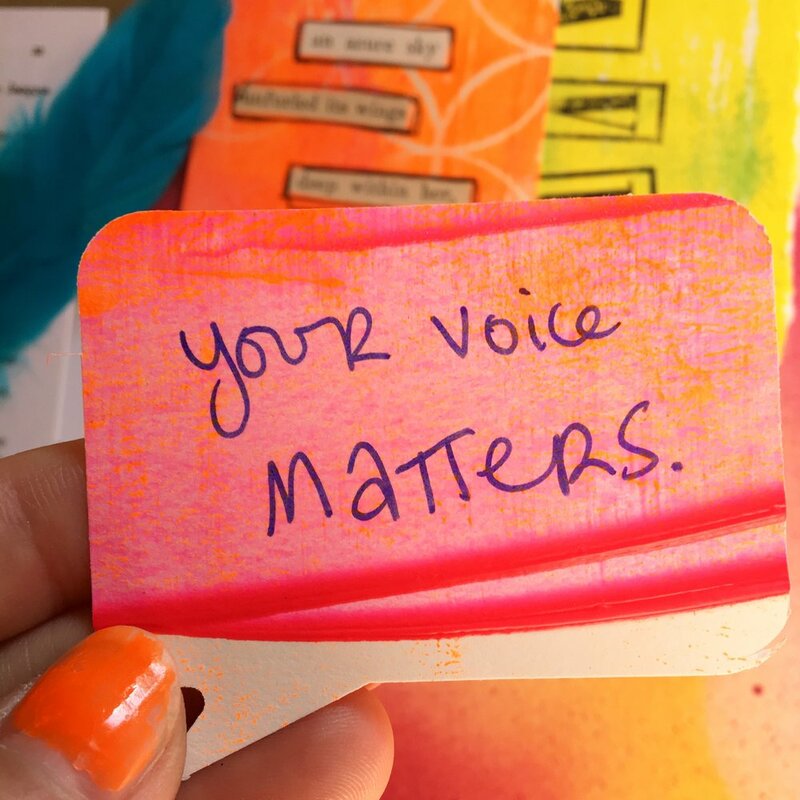 Join for $7 to receive a handmade art postcard every month, along with weekly soul-prompts and other yummy goodies! Samples below. Dear friends, I am honored to have journeyed with you these past seven years. I look forward to our next collective rising with much joy and anticipation. I hope you’ll continue to flock with us. See you in 2019 (and pardon our virtual website dust as I revamp in the coming weeks)! 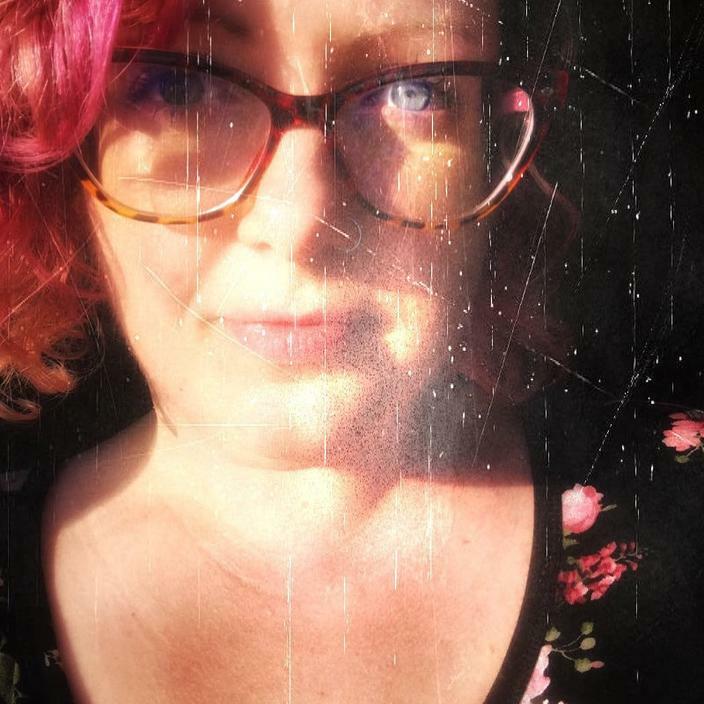 In the meantime, I’d love to connect with you on Patreon, in the pages of our back issues, in our free private Facebook gathering, on our public Facebook page, and on Instagram.